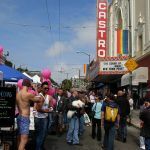 The following fairs, festivals and other significant events are held in the Castro/Upper Market on an annual basis. Dates and locations can be subject to change, however, so it is best to verify info on the linked event websites before making plans. 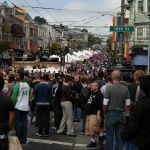 San Francisco’s LGBT Pride Week – The last weekend in June is San Francisco’s LGBT Pride event, the largest LGBT event in the U.S. 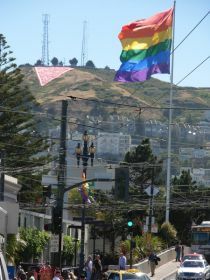 In the week leading up to Pride weekend, the Castro/Upper Market area is filled with celebrants, thronging the bars and restaurants and attending LGBT events (the arts festival, film festival, etc.). The official Pride Celebration (music, speeches, dancing, booths, food, etc.) 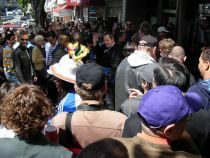 is held on both Saturday and Sunday in S.F.’s Civic Center, and the colorful Pride Parade up Market Street is held on Sunday, with as many as 500,000 spectators lining the parade route. 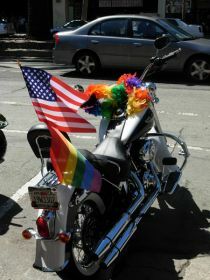 For more information, see www.sfpride.org. 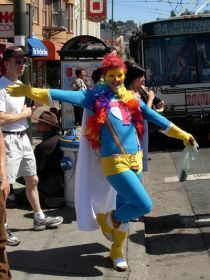 The Dyke March – On the eve of the Gay Pride Parade, thousands of lesbians raucously take to the streets of the Castro, whooping and cheering. Since the first march in 1992, this has been a grassroots, grrrls-in-the-streets event, with no corporate sponsors, no politicians on floats, and no men. Men are specifically asked to stay on the sidelines, cheering the dykes on. 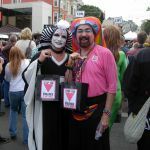 The main event starts at 5 pm at Dolores Park (18th and Dolores streets), where a rally is held, followed by the 6 pm march. Details are available at www.dykemarch.com. 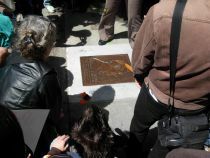 Harvey Milk and George Moscone Memorial Candlelight March and Vigil – Held on November 27, the anniversary of the 1978 murders of SF Supervisor and activist Harvey Milk and Mayor George Moscone, this event commemorates their deaths. 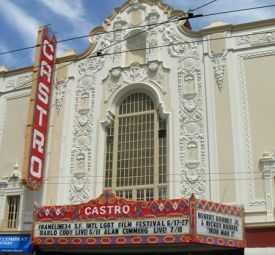 The gathering starts around 6 PM (or sunset) at Harvey Milk Plaza (Castro and Market) and includes speeches and remembrances, followed by a candlelight march through the Castro neighborhood. 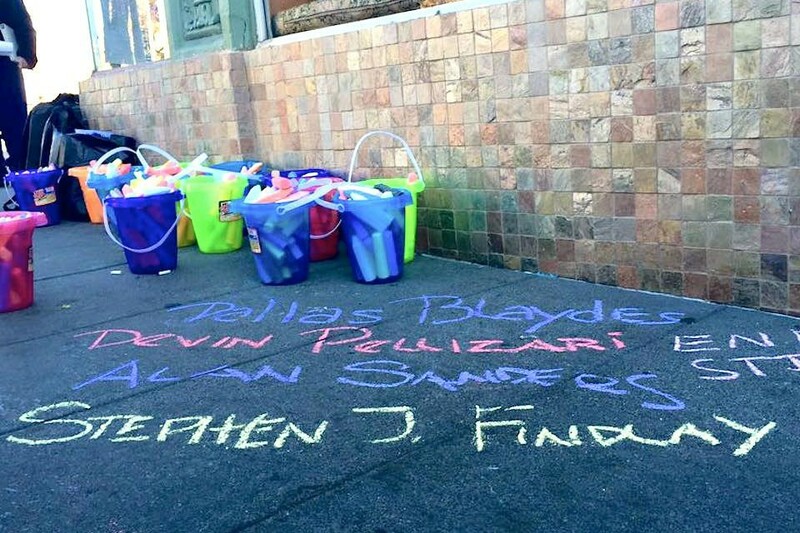 World AIDS Day Commemoration – Join members of the community to commemorate World AIDS Day on December 1st by writing the names of people lost to AIDS in chalk on the sidewalk of Castro Street. 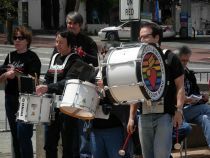 Dubbed “Project Inscribe, this local event, observed annually on December 1, was created by longtime HIV survivor, George Kelly. For more info, see the World AIDS Day facebook page.